For more information on how best to be seen at the surgery, select the service or condition below. Who to see: Doctor Advice: Book an appointment online or phone reception. Who to see: Nurse Advice: Book an appointment online or phone reception. Who to see: Nurse / Health Care Assistant Advice: You can submit your own readings online, use the blood pressure machine in the waiting room, or see the nurse. Who to see: Phlebotomist Advice: Clinics are held daily at various times. For warfarin monitoring it is preferred for all samples to be taken at the beginning of the week. Appointments for blood test MUST have been requested by your doctor or other health care professional. Who to see: Local Council Advice: Contact the council office. Who to see: Nurse or GP Advice: Once you are invited, make an appointment online or phone reception. Who to see: Nurse or Doctor Advice: Book an appointment online or phone reception. Who to see: Nurse Advice: Once you are invited please contact reception. Who to see: Family planning clinic / Nurse / GP Advice: Contraception and family planning appointments are available at various times every day. Who to see: Dentist Advice: Please book an appointment with your dentist or contact the Primary Care Trust Dental Helpline. Who to see: Nurse / Health Care Assistant Advice: Book an appointment online or phone reception. Who to see: Nurse or GP Advice: Book an appointment online or phone reception. Who to see: Pharmacist Advice: Please contact your local pharmacy. 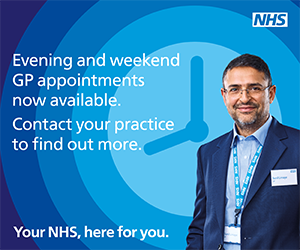 Who to see: GP Advice: Book an appointment online or phone reception. Who to see: Inform the Receptionist or GP secretary Advice: Please write your requirements clearly and conciesely on an accompanying letter or note. Who to see: Online request, Receptionist or GP secretary Advice: This can be requested online, or speaking with reception or one of the Secretaries. You will be required to give them your exact requirements. Who to see: Nurse / Health Care Assistant Advice: This service is offered at St Thomas, please contact Reception. Who to see: Nurse or Pharmacist Advice: Book an appointment online or phone reception. Who to see: Inform the Receptionist or GP secretary Advice: Completion of forms, certificates and medicals are not covered under the NHS. You will be charged for these services. Please discuss your requirements with our reception team. Examples are Passport forms, insurance reports, HGV medicals, holiday cancellation forms.